Which factors that the industry has long competed on should be eliminated ? The Four Actions Framework developed by W. Chan Kim and Renée Mauborgne is used to reconstruct buyer value elements in crafting a new value curve or strategic profile. 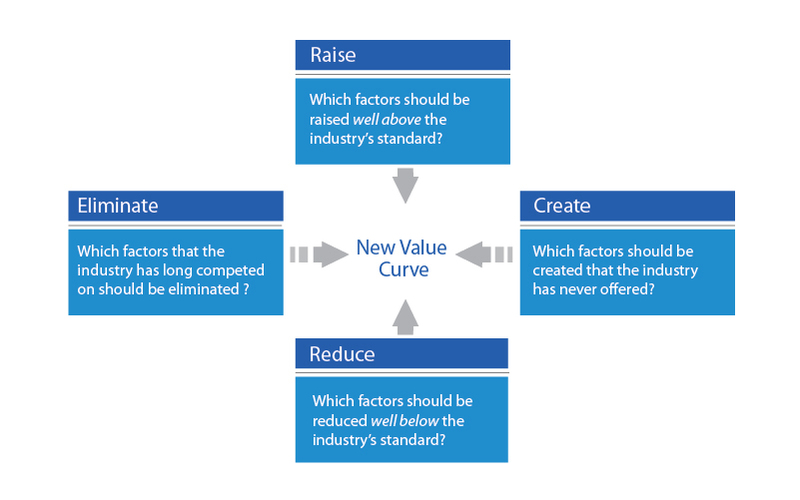 To break the trade-off between differentiation and low cost in creating a new value curve, the framework poses four key questions, shown in the diagram, to challenge an industry’s strategic logic.